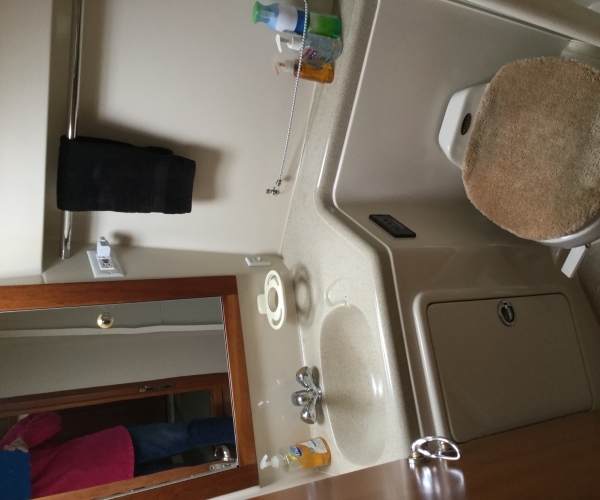 Centerline queen berth with new custom matress, full head with separate shower stall, vanity with storage, mirror and sink, VacuFlush toilet. Large salon, 27” flat screen tv with custom sound system. 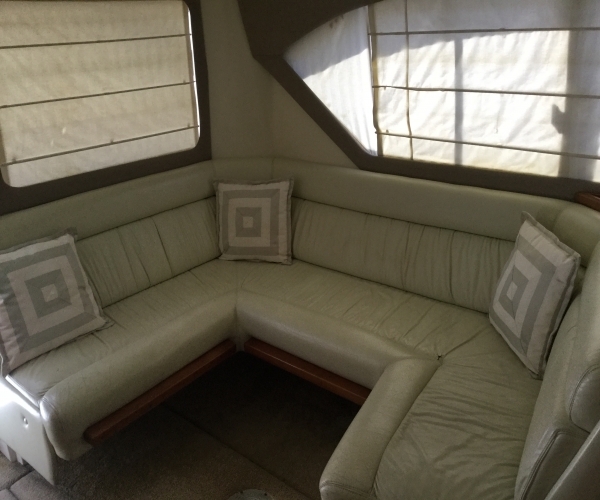 AM/FM stereo and CD player, two reverse cycle AC units. 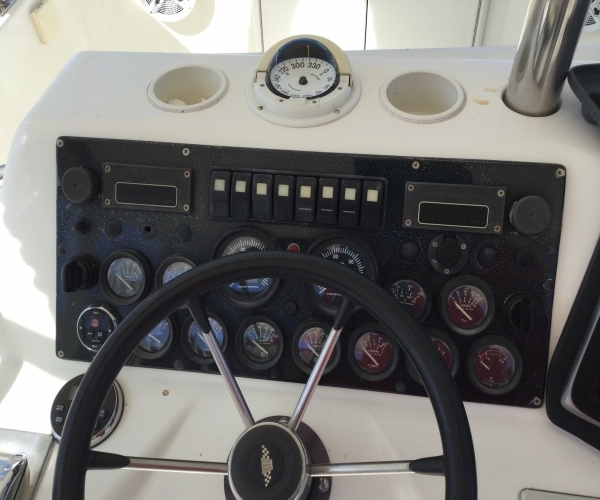 Garmin Chart Plotter, Raymarine chart plotter, Depth sounder, Radar, VHF radio, Simrad auto pilot, Compasss. 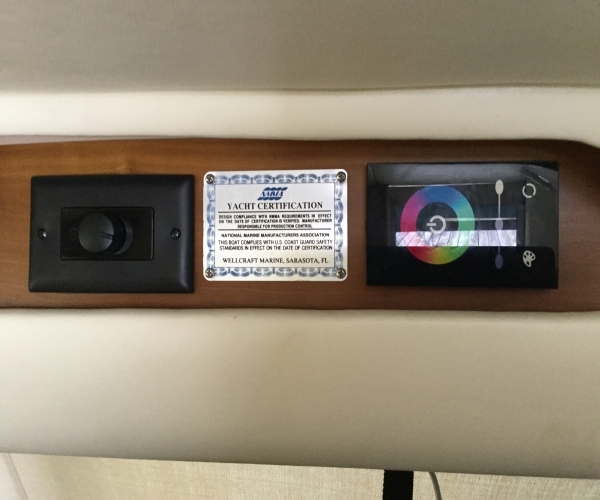 All electronics updated in 2016. 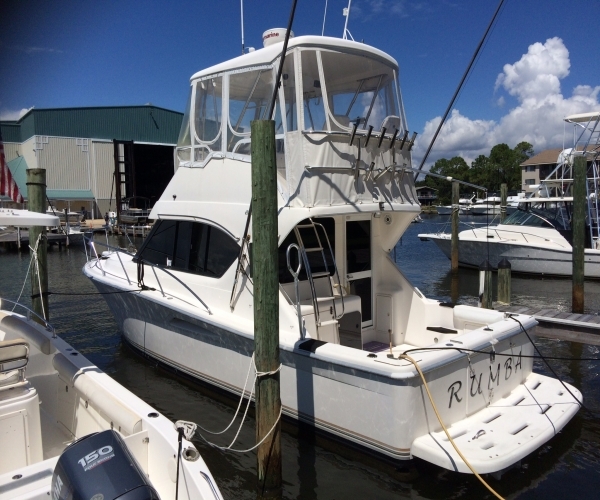 8.0 Kw Koehler generator, dual AC, Muir Windless with remotes on upper and lower helms, Eisenglass enclosure (new in 2015), lighted live bait well, cockpit sink, fresh and saltwater wash down, Skevlar outriggers, 18 rod holders, deck lights tackle storage. 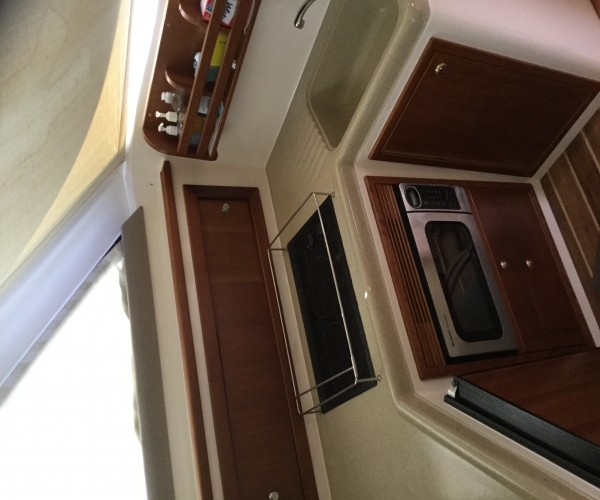 2001 Wellcraft 350Coastal. 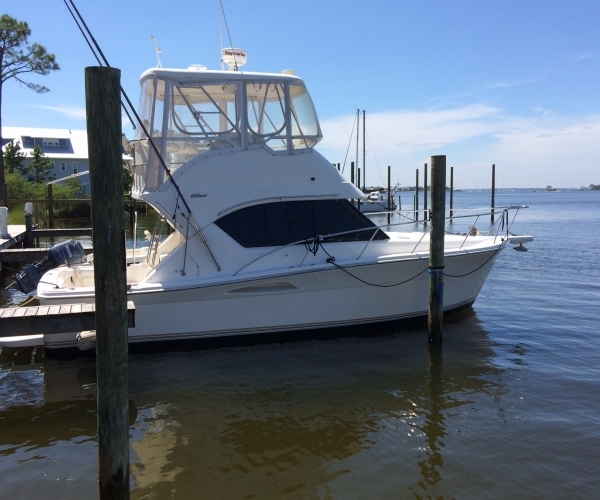 The 350 Coastal was built in Australia by Riviera Marine as a tournament sport fisherman. Her deep V Hull gives her a smooth dry ride. 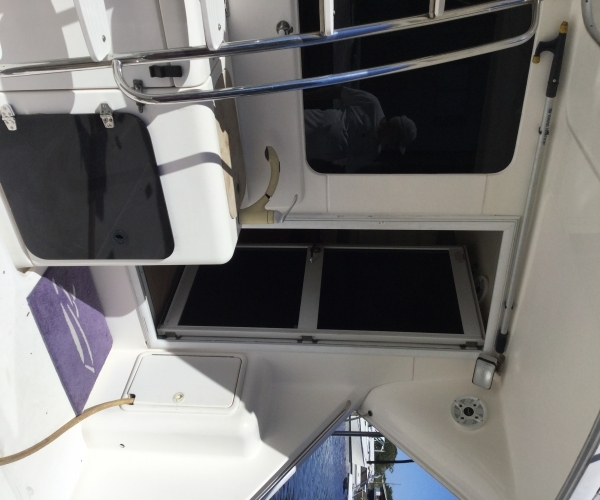 This vessel is equipped with a custom made fishing tool box, large lighted bait well, 18 rod holders, large fish box, ice maker, outdoor sink, fresh and saltwater wash down, transom door, and swim platform. 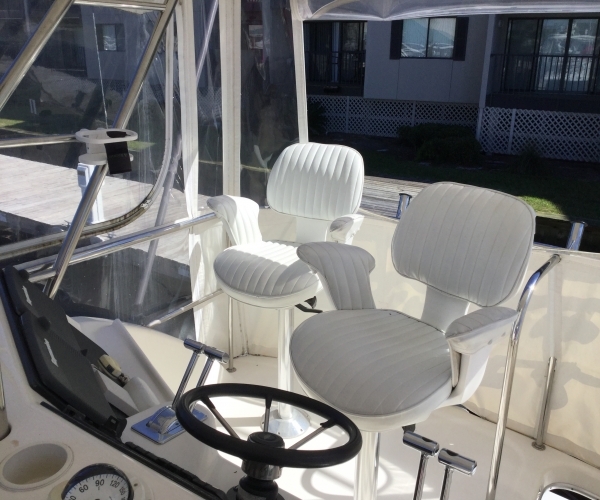 The cockpit is spacious and comfortable for fishing or cruising. 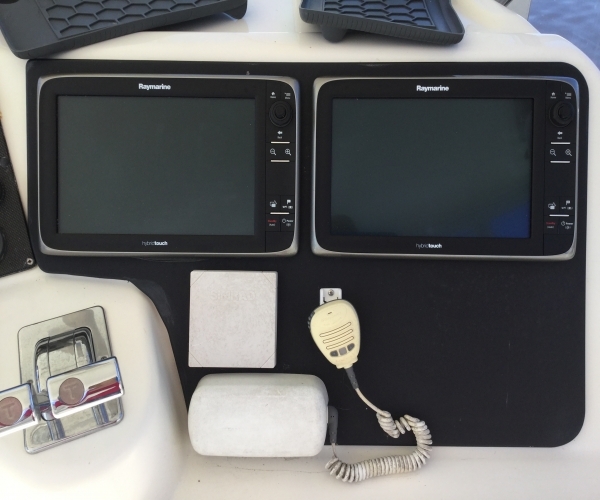 Electronics completely upgraded in 2016, includes Garmin chart plotter, Raymarine chart plotter (secondary), depth sounder & radar. 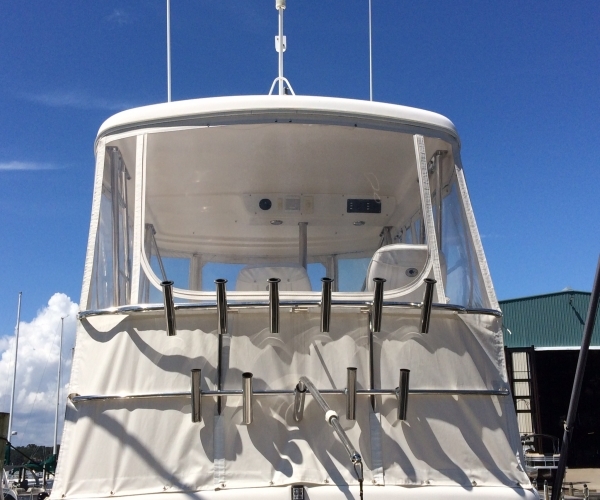 Also equipped with Simrad Autopilot, VHF radio and compass. 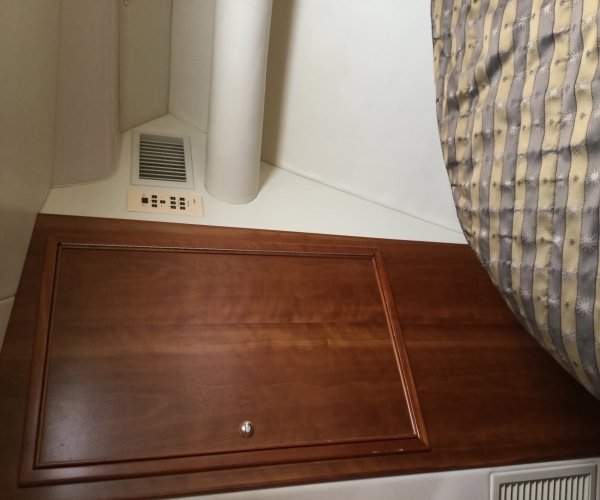 The interior of the vessel is very roomy, with a large centerline queen berth,new custom mattress purchased this year, additional salon sleeping accommodations. 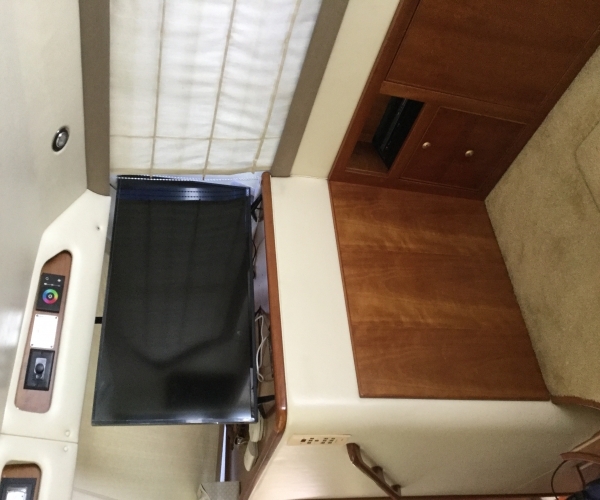 The salon has a convertible dinette, 27” flat screen tv and custom sound system. 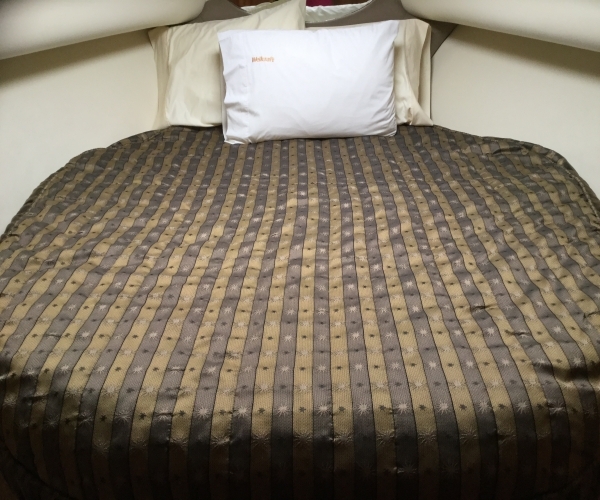 The salon leads to the galley that is fully equipped with a refrigerator/freezer, microwave/convection oven, and electric stove. 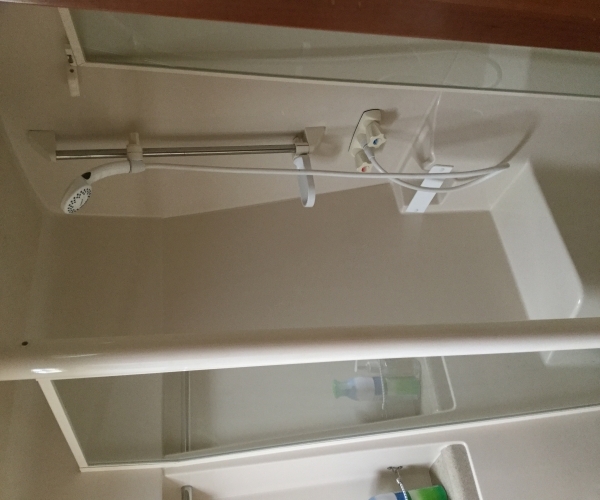 Across from the galley is a full bathroom including vanity storage, mirror,sink,and separate shower stall. 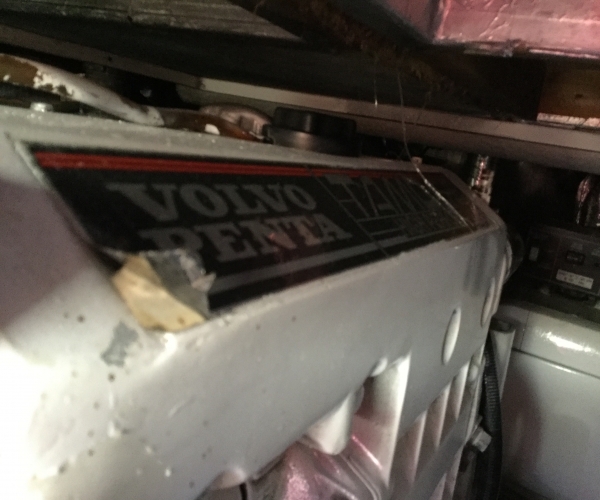 She is powered by twin 370 Volvo Diesel engines. 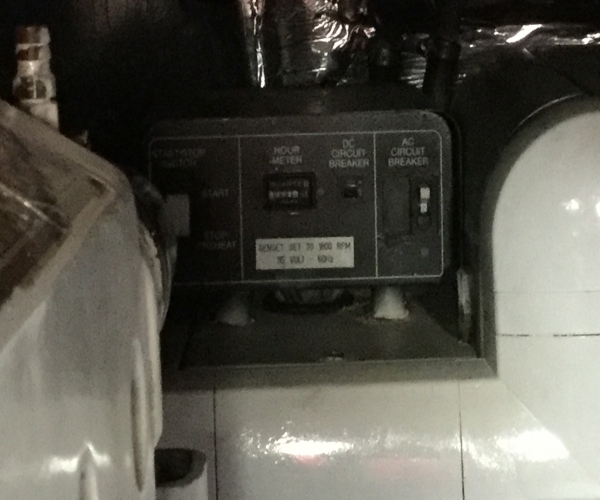 She cruises at 24 knots. 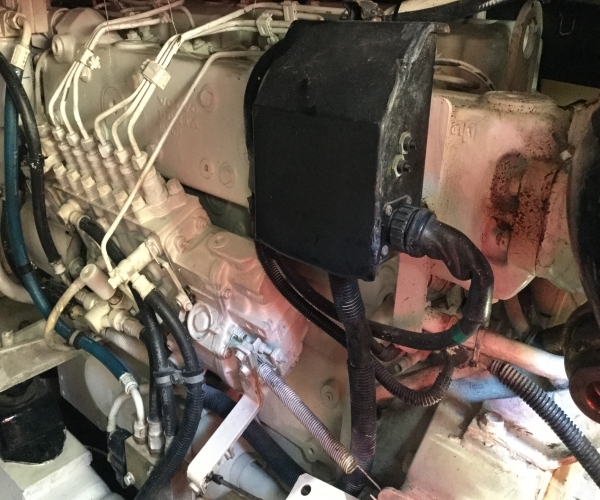 8.0 kW Koehler generator. 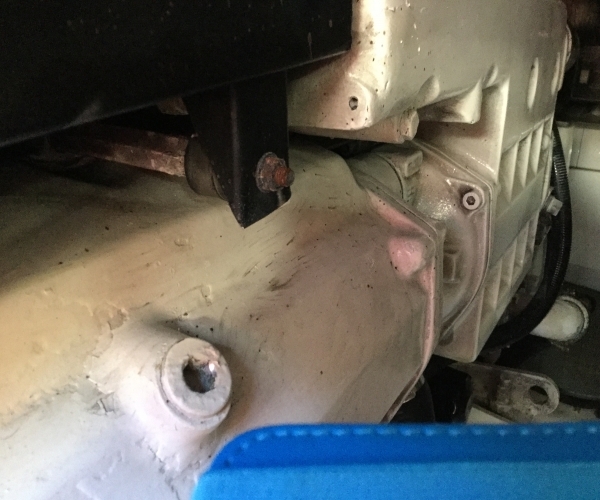 New bottom paint this summer. Props tuned this summer. 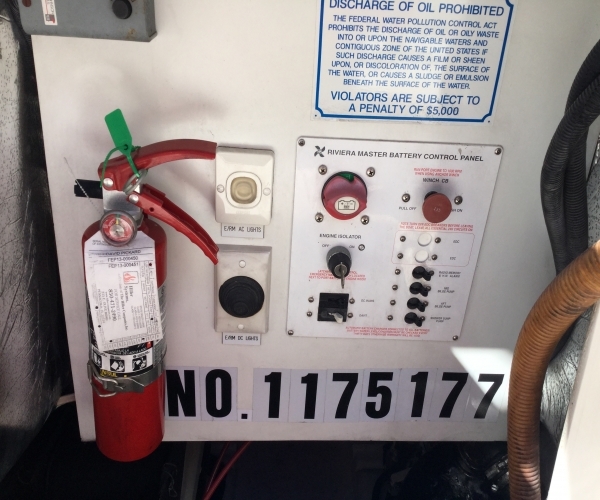 This vessel was commissioned in June 2005. 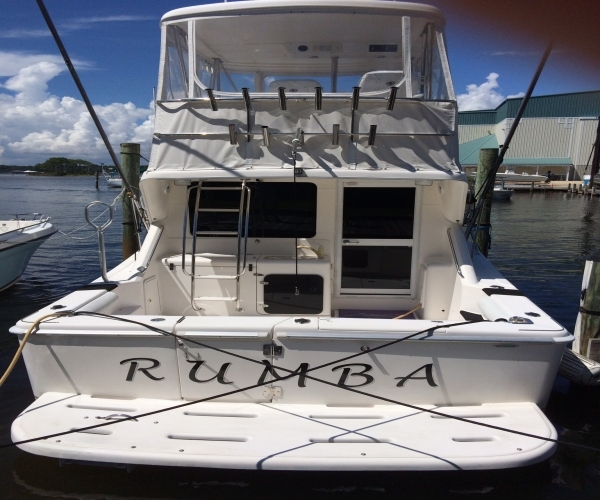 “Rumba” has been maintained to yacht standards. She is a MUST SEE!